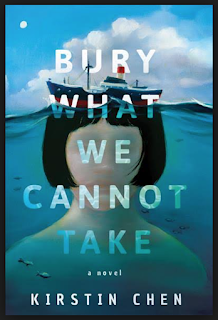 EC: Welcome to AsianBooksBlog, Kirstin Chen and congratulations on the launch of your most recent book, Bury What We Cannot Take. KCC: Thanks so much, Elaine! Thrilled to be chatting with you. EC: To start off our dialogue, will you give us the skinny (or taster!) on what Bury What You Cannot Take is about and also, who are our main characters? KCC: Bury What We Cannot Take opens in a once-opulent villa on a tiny island in Southern China in 1957. A brother and sister catch their grandmother taking a hammer to a portrait of Chairman Mao. The family gets in trouble with the authorities and must flee to Hong Kong, but when they attempt to get the necessary permits, they're forced to leave one child behind as proof that they'll return. Bury What We Cannot Take explores how we rationalize impossible decisions, persist in the aftermath of agonizing loss, and probe the limits of familial love. EC: How long did the entire process take, from initial inspiration to completion? EC: What was the initial inspiration? EC: Were there bumps and hiccups along the research process or was that all pretty smooth sailing? KCC: So many bumps and hiccups! 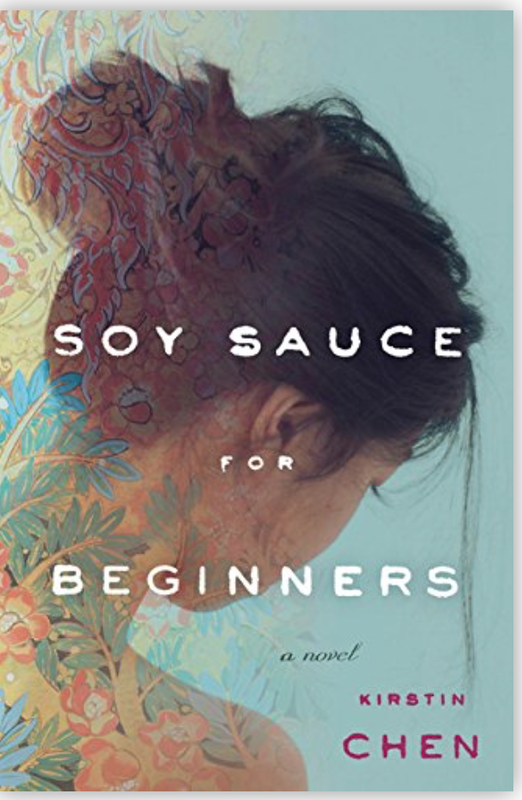 I knew very little about my chosen setting and even less about the time period, so I began by reading very broadly: novels by writers like Eileen Chang and Yu Hua, memoirs, history and economic texts. I visited Gulangyu (as Drum Wave Islet is more commonly known). I spoke to my aunt, who knew the region and time period well. The most challenging part of research was knowing when to stop. At a certain point, after I'd been working on the novel for about a year, I realized I could spend another 10 years on research and still have more to learn. That’s when I put away my research and forced myself to just keep writing, knowing that I would go back and fact check later. EC: How different was the process for you (in terms of research, writing, revising) between your first book, Soy Sauce for Beginners and Bury What You Cannot Take, your second book? By the time I started work on my second book, I had to figure out how to create my own deadlines and keep myself motivated. My dear friend and former classmate Matt Salesses and I committed to sending each other a thousand words a day, and that’s pretty much how I drafted Bury What We Cannot Take. In fact, it worked so well, that we’ve stuck with the program through our new projects. EC: You recently completed a residency at Nanyang Technological University Singapore. What was that like? Are there highlights you’d like to share with us? KCC: I had a wonderful time at NTU! In addition to getting a ton of writing done, I got to teach an introductory creative writing class, and the students were a delight. They were diligent and enthusiastic—and often asked for permission to go over the required word count. At the end of the semester, they turned in essays reflecting on their writing journeys, and about a quarter of them said they wanted to go on to be professional writers. (Again, this was an intro class filled with accounting, business, and psychology majors.) I found that so heartening. EC: You also recently wrote a very interesting piece for LitHub on voice and cultural appropriation. How does it tie in with your writing and your voice? KCC: In hindsight, I can say that my anxiety around cultural appropriation made me approach the research for Bury What We Cannot Take with more rigor; it also made me a more careful and empathic writer. Too often, I think, writers view the conversation around cultural appropriation as something limiting, but for me it’s been quite the opposite. EC: Food seems to figure quite prominently in your writing – in the title ‘soy sauce’ and content for your first book, and in the role of French pastries in Bury What You Cannot Take. I’m curious about how you see food illuminating our social and cultural relationships and how one brings that about in fiction. KCC: I’m Singaporean and I’m Chinese, so, yes, food is a big part of my life and of my writing. Because I write mainly Asian characters and settings for a predominantly American audience, food is just one more way to explore my characters’ cultures and customs in a manner that (I hope) never feels forced. EC: Who are your literary influences? Who, in contemporary literature today, do you admire or you think is worth watching out for? KCC: I find the first question quite hard to answer because when I think about the books that have meant the most to me through the years, I must conclude that I write nothing like their authors. For instance, the book that made me want to start writing, back when I was a college sophomore, is Bad Behavior by Mary Gaitskill. As you well know, her writing is edgy and subversive and dark—and mine is quite the opposite—and yet something about the honesty and rawness of those stories transfixed me and made me want to try to write. EC: Book marketing. You are about to embark or have just embarked on a full-scale book marketing plan for Bury What You Cannot Take. What’s your advice for emerging writers tackling the book marketing process, and do tell us where audiences around the world can catch you live. EC: This book was absolutely gripping for me. What’s the secret to writing a literary page-turner? KCC: I’m glad to hear it! I thought a lot about the pacing of this book, especially because it’s told from multiple rotating points-of-view. We’ve all had the experience of reading a novel with multiple points-of-view and falling in love with one of the perspectives, and then impatiently speed-reading through the chapters told from other perspectives to get back to the character we most care about. So, I knew that if I was going to rotate through different characters’ points-of-view, each of them had to be compelling enough to earn the right to tell their side of the story. I tried to make sure that each character had strong, meaningful desires that were often at odds with at least one other member of the family, and I think that helped to create momentum and suspense. EC: This book was absolutely gripping for me. What’s the secret to writing a literary page-turner (tongue-in-cheek question)? 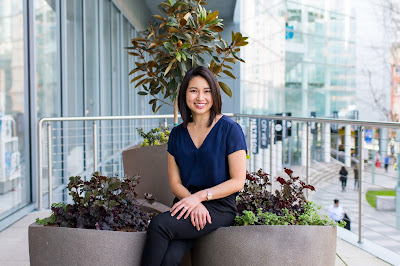 EC: Thank you for spending time and sharing your insights and thoughts with us on AsianBooksBlog. We wish you every success with your wonderful book. Details: Bury What We Cannot Take is published by Little A, and widely available in various formats, priced in local currencies.